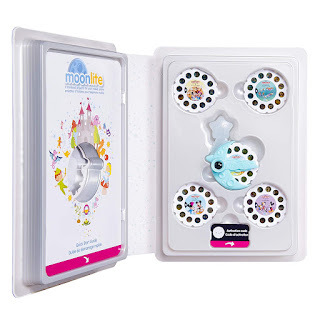 Moonlite - Disney 5 Pack $9.99 at Amazon (was $40) + Free Shipping - Best Price! Amazon has the Moonlite - Special Edition Disney 5 Pack, Storybook Projector on sale for just $9.99 (regularly $39.99). This award-winning storybook projector makes reading even more special. Now you and your child can enjoy Mickey & Friends stories like A Surprise for Pluto, A Summer Day, A Perfect Picnic, The Kitten Sitters and The Birthday Surprise! Just clip the Moonlite projector onto your smartphone or smart device (not included) and load in one of five Disney Story Reels. 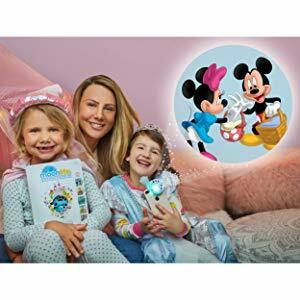 Using your device’s flashlight, Moonlite will project classic Disney illustrations onto any surface of your home! Takes some effort but the kids love it. Makes reading fun for kids. Need to readjust the phone a lot.